The Solihull Medical Cosmetic offers one of the only medical cosmetic acne clinics in the Midlands offering a complete range of acne treatments to suit all skin types. As well as a cosmetic specialist, Dr Sagoo is also a GP with 15 years experience and can offer a range of holistic prescribed medication, as well as cosmetic acne treatment programmes, to enhance and improve acne prone skin. The acne clinic has gained national recognition with clients from all over the UK visiting the clinic for acne concerns. As a result we have been selected to be one of the first UK acne centres of excellence under the guidance of world renowned dermatologist Professor Chu in association with Skin Med. Therefore demand for our services is high with a several week waiting list for an initial free assessment. Why choose us for Acne? We tend to see many clients who have been to other skin clinics and have not achieved the results they desired or expectations have not been met. Usually they have been misinformed or have not received the correct treatment. 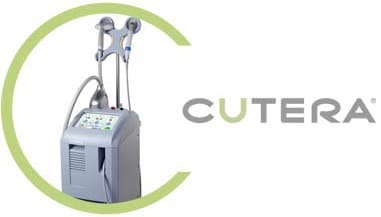 We provide a holistic treatment plan which may include use of the best lasers in the world along with medical grade acne skin products and combining that with using the latest in acne treatments available. 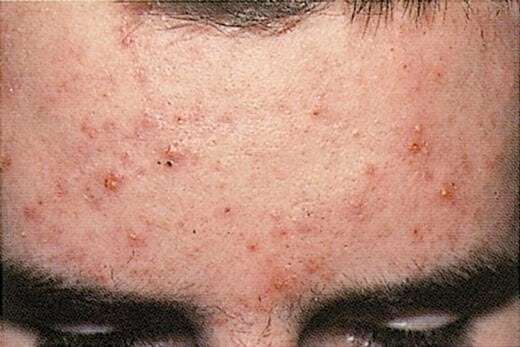 Acne is a common skin condition characterized by plugged pores (blackheads and whiteheads), inflamed pimples (pustules), and deeper lumps (nodules). Acne may occur on the face, chest, back, and upper arms. Although most teenagers get some form of acne, it can also develop in adults. Often, acne clears up after several years, even without treatment. However, it can also be disfiguring and upsetting to the client. 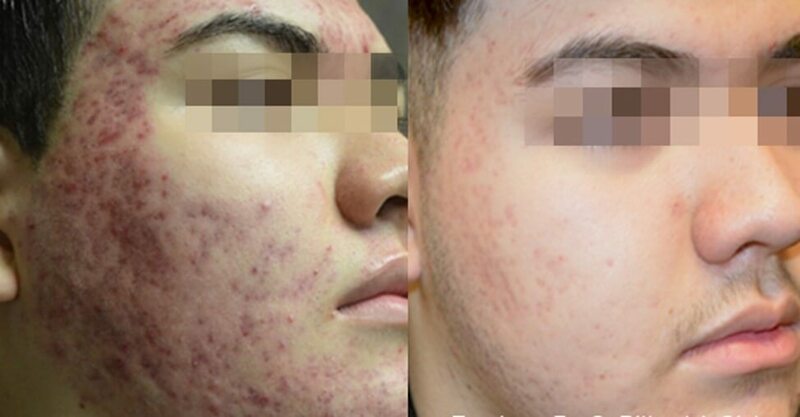 Untreated acne can leave permanent scars, and to avoid acne scarring, acne treatment is important. Acne is not caused by dirt. Human hormones increase during adolescence and stimulate the sebaceous glands of the skin to; enlarge, produce oil, and plug the pores, therefore causing acne. Whiteheads (closed comedones), blackheads (open comedones), pimples (pustules), and occasionally cysts (deep pus-filled lumps) form. Adult acne develops later in life and may be related to hormones, childbirth, or stopping the pill. This is the mildest form of acne. Grade 1 consists of blackheads mostly on the nose and a few papules which are small, red breakouts typically found on the cheeks. These breakouts are minimal and tend to be occasional. This is considered moderate acne and is characterised by blackheads, milia (whiteheads), inflammation, redness, papules and pustules. They are found usually on the nose, cheeks, and chin / jaw line. 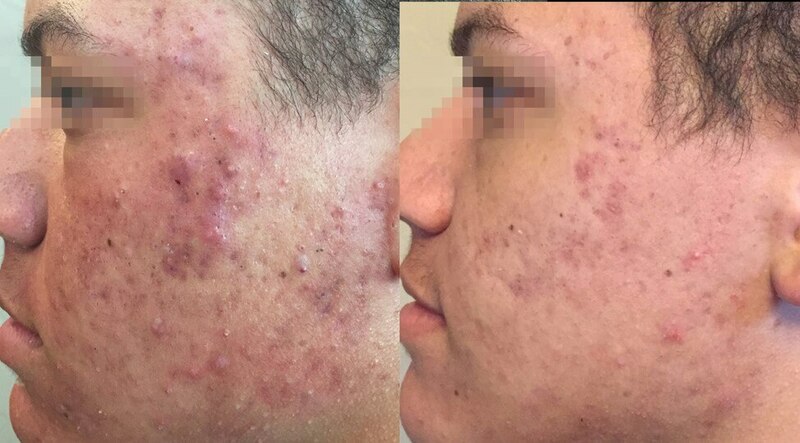 More than occasional, Grade 2 acne needs more active attention. Very similar to Grade 2 but with more swelling, and the number of actual papules and pustules is increased significantly. Scarring tends to be more noticeable as well. In this case, it is found all over the face and neck in addition to other acne-prone areas such as the chest, back and upper arms. It is the most severe form of acne and is extremely rare. 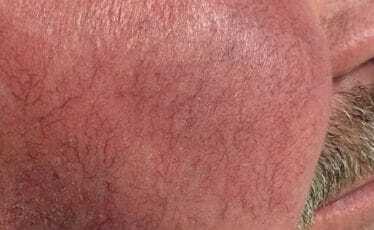 Usually the skin is covered by an extreme number of pustules and oedema (swelling). Acne has nothing to do with not washing your face. However, it is best to wash your face with a mild cleanser (e.g. Cetaphil) and warm water daily. Washing too often or too vigorously may actually make your acne worse. Exfoliating once or twice per week (depending on skin type) with an exfoliant (e.g. Exfoliating cream) is recommended, as it may be useful for opening up blackheads and whiteheads, and fading acne marks and scars. Acne is generally not caused by foods. However, if certain foods seem to make your acne worse, try to avoid them. In a few cases, milk/dairy or nuts may aggravate acne. To help keep your skin clear from acne, wear as little cosmetic product as possible. Oil-free, water-based moisturizers and make-up should be used. Choose products that are labeled “non-comedogenic” i.e. should not cause whiteheads or blackheads. Remove your cosmetics every night with mild soap or a gentle cleanser with water. Our clinic offers a medicated range of skin care products for acne-prone skin that has been shown in research to fight against acne. Treatment is an on-going process, and improvement in acne takes time. Each individual acne client will have a comprehensive skin assessment with Dr Sagoo and his skin specialist aesthetician to determine what the best treatment plan would be for that individual. Each individual acne client will then be discussed, along with their own personal acne skin treatment plan, by Dr Sagoo and his skin aesthetician. They will work as a team to regularly review ongoing treatment and follow the client together on the journey of improving their skin. We recognise that most of the clients that have come to our clinic have had their confidence affected by their acne, and often find that their own doctors are unsympathetic. Diet and lifestyle factors will also be discussed and addressed during the treatment plan, along with realistic expectations of what can be achieved. Treatments are broad and varied but are offered using the latest treatments available, as one of the Midlands leading clinics. Dr Sagoo may prescribe certain medications for your acne. These could include topical creams, gels, or lotions with vitamin A acid-like drugs, benzoyl peroxide, or antibiotics to help unblock the pores and reduce the bacteria that cause acne. 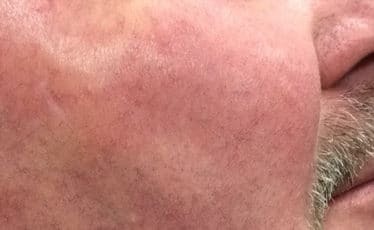 As a practising GP for last 15 years Dr Sagoo can also prescribe prescription acne medication and liaise with your GP if necessary following his assessment. – Antibiotics taken by mouth are often prescribed for acne. 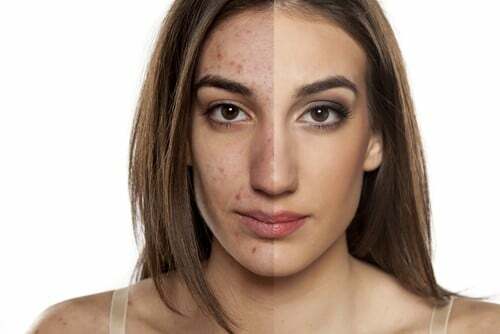 – Birth control pills may improve acne, and may be used specifically for the treatment of acne. Birth control pills are particularly effective in women in whom periods are irregular, or who notice flare-ups before each period, or have more lower face (e.g. around the mouth) and jawline acne. Dr Sagoo can prescribe the birth control pill, or it can be prescribed by your GP. – In cases of unresponsive or severe acne, vitamin A derivatives may be used. Patients using these medications must understand the potential side effects of this drug. Monitoring with frequent follow-up visits is necessary. Pregnancy must be prevented while taking the medication, since these substances cause birth defects Dr Sagoo works alongside two consultant dermatologists who can prescribe this medication. – Women may also use birth control pills or medications that decrease the effects of male hormones to help with their acne. As well as medical treatments, Dr. Sagoo will assess each client, and depending upon the severity of their acne will then discuss a treatment programme tailored to each individual client. The clinic offers a wide range of cosmetic acne treatments. 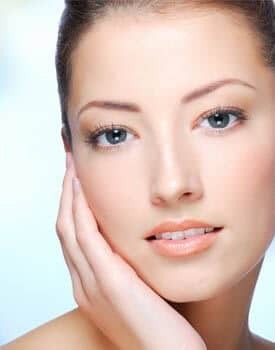 Microdermabrasion may be used to remove the upper layers of the skin, which may improve irregularities in the surface, contour, and the generation of new skin. Chemical peels with glycolic acid or salicylic acid may help to unblock the pores, open blackheads and whiteheads, and minimize marks and acne scarring. The clinic offers a full range of chemical peels from superficial to medium depth peels to treat mild / moderate / severe acne. Glycolic acid also helps to repair damaged skin and may stimulate the generation of new skin cells, which may help improve acne scarring and may also prevent outbreaks of acne spots. Enerpeel® SA targets skin remodeling and is designed specifically for sufferers of acne, thanks partly due to the sebostatic (oil production reducing) effect of Salicylic Acid. The solution also contains the two active ingredients that are present in Aknicare® – triethyl citrate and ehtyl linoleate – which were shown in a clinical trial by Professor Tony Chu to reduce the four main visible signs of acne. 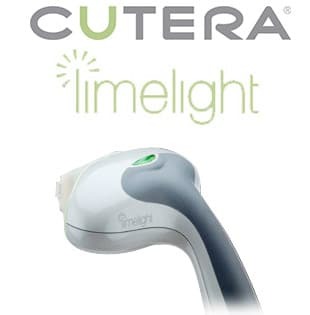 The limelight IPL is a very powerful medical grade intense pulsed light that may improve the texture of the face as well as significantly reduce the redness associated with acne flare ups. Furthermore it may also help reduce the hyperpigmentation left behind from repeated acne flare ups. It is a powerful tool, especially when combined with other treatments, and may reduce the effects left behind by the acne. 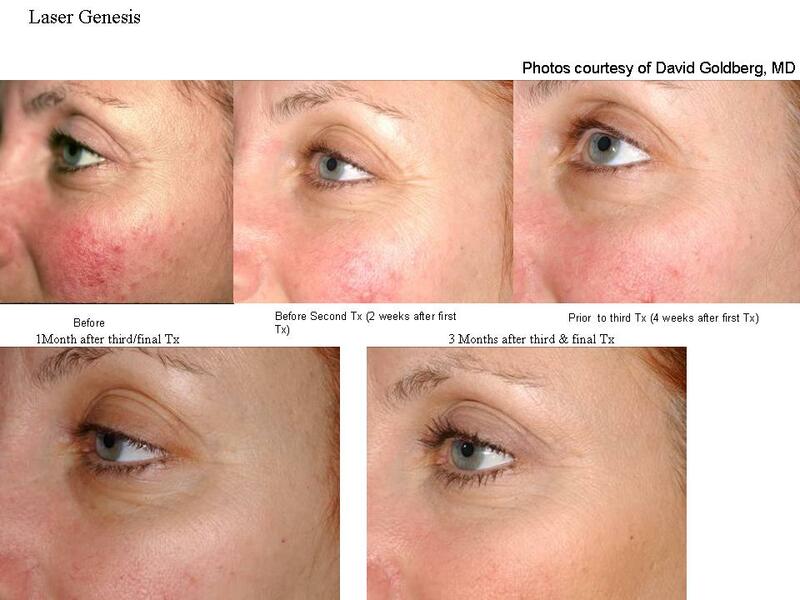 Laser genesis is a great no-downtime, painless procedure that may help with acne prone skin. 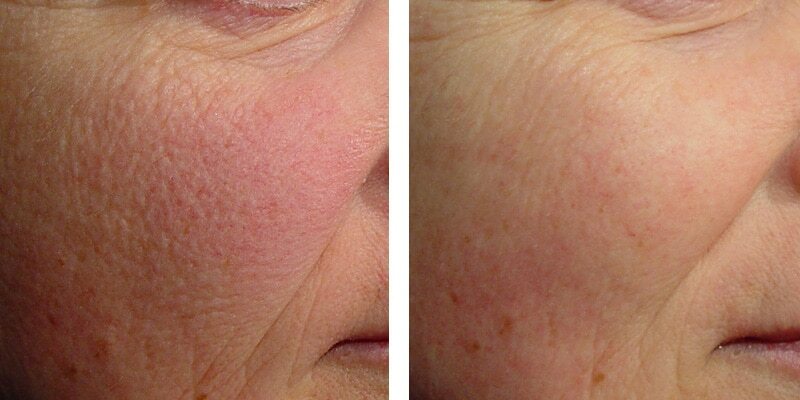 The laser’s heat may help reduce the bacteria in active breakouts. This means they may dry up and heal much more quickly. 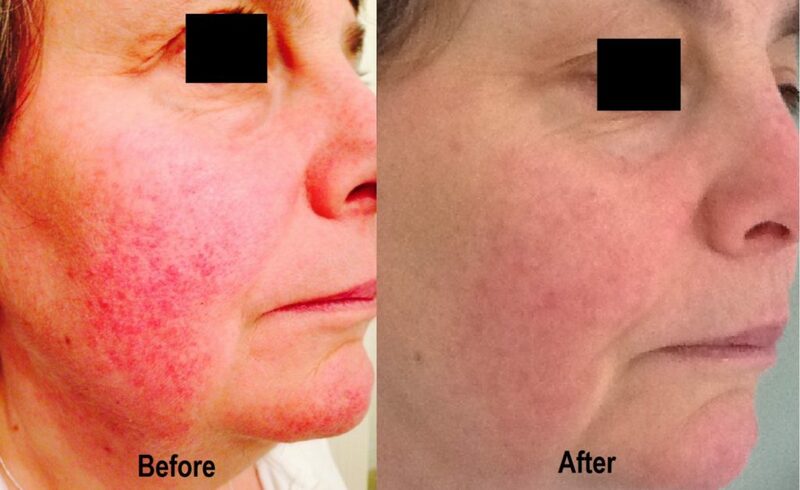 Any red tones or discolorations from present or previous breakouts may be lightened as well. 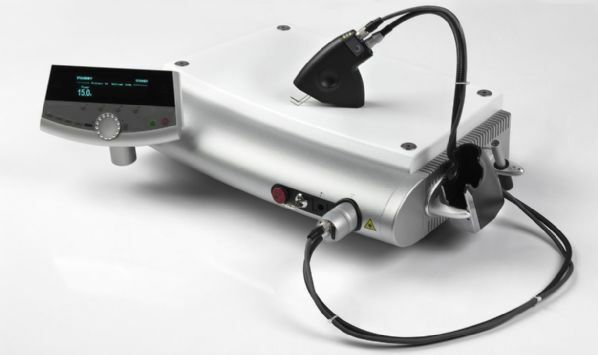 With most acne patients, large pores tend to be an issue, and the laser genesis may improve this as well. 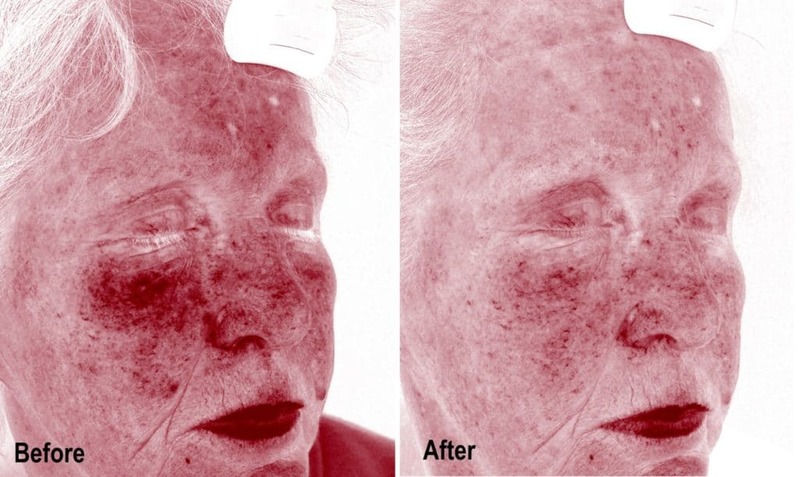 In addition to acne benefits, the procedure may also have anti-aging effects. 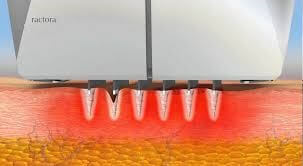 Collagen production may be stimulated; therefore, it may decrease the appearance of fine lines and make the skin feel more elastic. Patients typically have 3 to 5 treatments which can be spaced out 2 to 4 weeks apart. 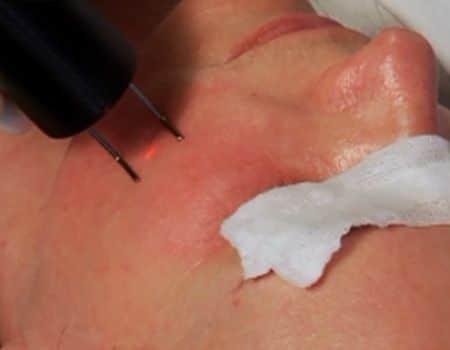 Acne extraction is a type of acne treatment procedure that is done in a doctor’s office, using special, sterile tools to attempt to remove problem pimples. 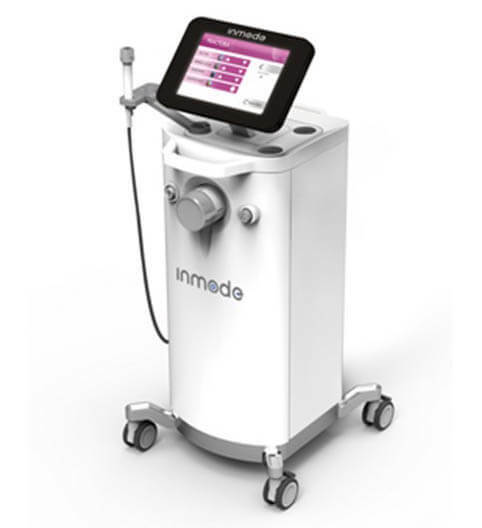 The acne extractor is used to attempt to pull out the fluids or solids that are inside the pimple. The extractor puts pressure on the contents of the pimple, with the goal of expelling its contents. Acne extraction is most effective on a type of pimple called a comedone – blackheads or whiteheads. These hard little bumps can be open (blackheads) which have a dark surface, or closed (whiteheads), which look white on the surface because the underlying hair follicle is completely clogged. Comedones make the skin appear rough or bumpy in texture. One advantage of having acne extraction performed is that additional debris in the pores can also be removed. Acne extraction is typically tried when other acne treatment methods – like oral or topical medications – are unsuccessful at treating very severe acne. Acne extraction is not generally used to treat an inflamed pimple, like a pustule or papule, or comedones that are close to an inflamed pimple. This is because the procedure may spread the infection and make the problem worse in these cases. When this acne treatment is done correctly – by a professional in a sterile environment – it’s a safe procedure. Acne extraction may help to clear up unsightly acne, and over time, even help prevent future acne breakouts when other preventive measures, like proper skin cleaning, are also used. Injections of corticosteroids may be used for treating large red bumps (nodules & cysts). This may help them to go away much more quickly.